« Lights, Cameras, Action! Announcing the debut of “Curbside Consults” Vlog series! Finally, Filorga is here!! 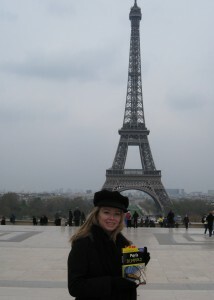 I am so excited to finally offer my clientele this super vitamin product from Paris! I have been investigating vitamins for injection mesotherapy for the last year, and when I went to Monte Carlo in March I got my hands on this product that I had been coveting for oh so long…it was worth the wait!! Injection mesotherapy, as you remember, involves the injection of vitamins just beneath the skin surface to directly nourish the collagen layer with much needed goodies! Very popular in France and Spain, especially with the Hollywood crowd [some actors & models do not even use Botox or Fillers, just mesotherapy]! This product from the Laboratories Filorga in Paris is simply the best on the planet. It has 13 vitamins, 6 minerals, 23 amino acids, 6 coenzymes, and a proprietary blend of hyaluronic acid to deeply moisturize the skin. Of course, I injected myself and my lucky husband (since we get first dibs on everything) and let me tell you---WOW! Our skin was dewy and glowing like teenagers after one session! No lie—all of my European patients were “wait-listed” for the stuff (and believe me, they DON’T like to wait). Now, I have enough for everyone, so come on in and give it a try! This entry was posted in mesotherapy and tagged Anti-Aging, mesotherapy. Bookmark the permalink. Both comments and trackbacks are currently closed.